Coffee cherries just before harvest. So they have to look. Here you can select your gift idea from different coffee bundles. 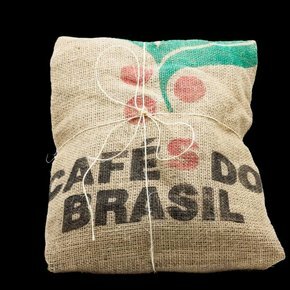 The coffees and espressos are packaged in an exclusive coffee bag and tied with a cord. Four premium coffee or espresso places, ideal as a gift. You can choose between an espresso and two coffee bundles and of course choose between whole bean or ground.